Hey there! We survived camp last week, but it's taken me a few days to recover and get back to a schedule for blogging. We're approaching holiday mode and then vacation will be coming up soon, so thanks for hanging in there with me through a little bit of a sporadic summer posting schedule! Any time I post a photo with these pillows in it, I get questions about the fabric. 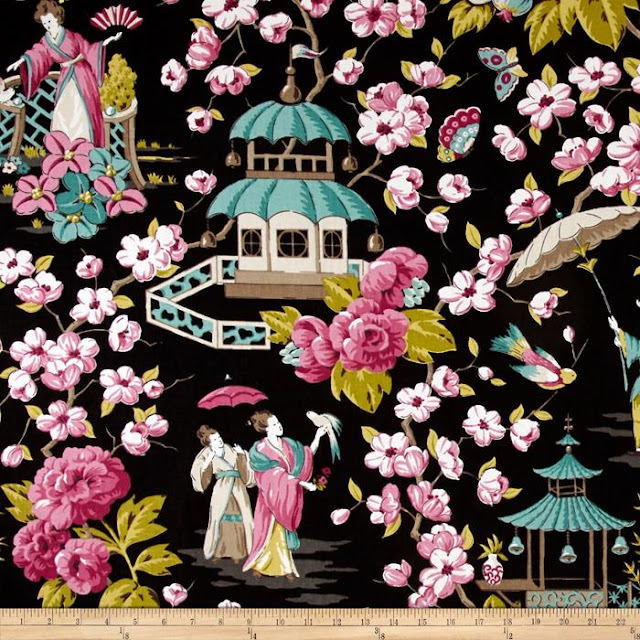 The black background and bright colors really are unmatched in any other toile or chinoiserie I've seen. Since my exact fabric would be hard to come by, I've rounded up a few good options if you're looking for something similar. 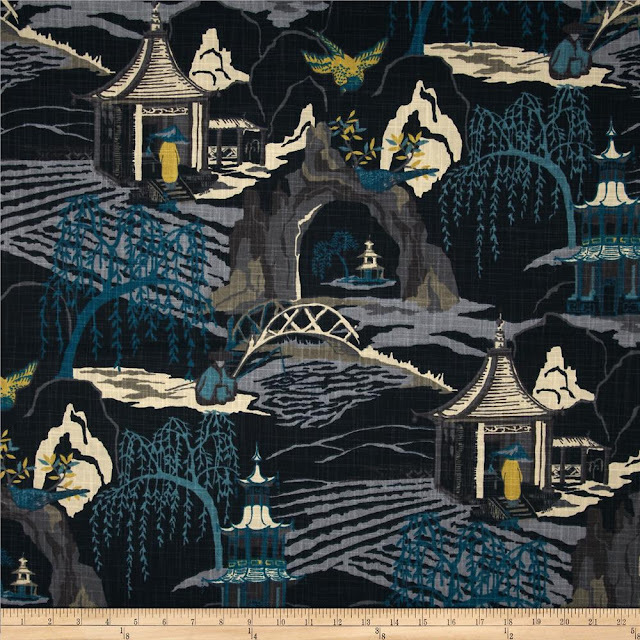 Believe it or not, it's pretty difficult to find a good chinoiserie with a dark background and bright colors, it seems like an unusual combo. I think that's why my piece caught my eye. 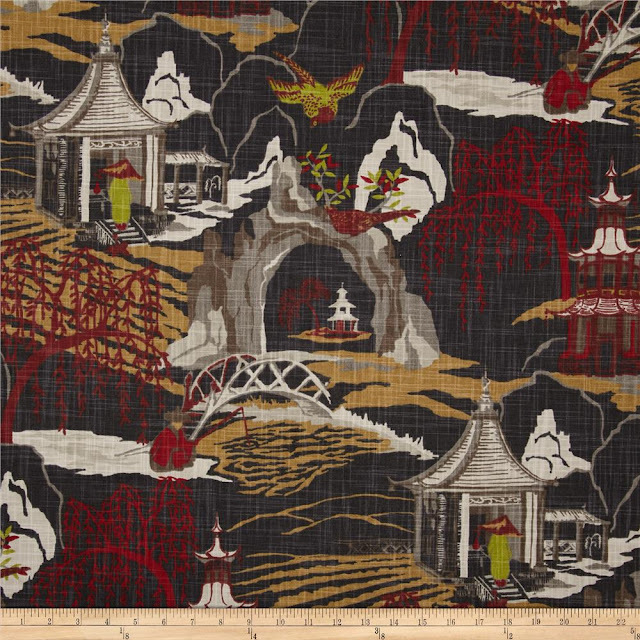 One of my favorite fabrics, Chiang Mai Dragon, is available in a dark colorway. I LOVE it and someday I'm sure I'll come up with an excuse to use it somewhere, even though I already have it in the alabaster colorway. It's an expensive designer fabric, but worth the splurge on just a bit in my opinion. Here's a ready made pillow if you don't want to sew your own. Summer Palace by P. Kaufmann is a pretty good alternative at a great price point if you like the brighter pastel colors rather than more primary colored accents. 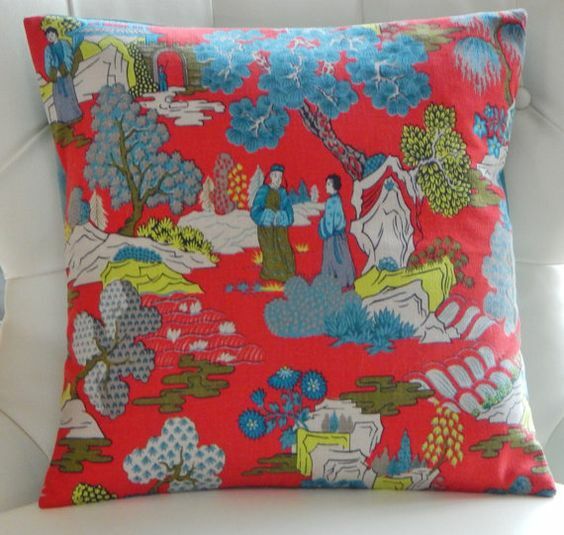 I did find the Markwood Chippendale print on Etsy available as pillows in a red colorway- cute! 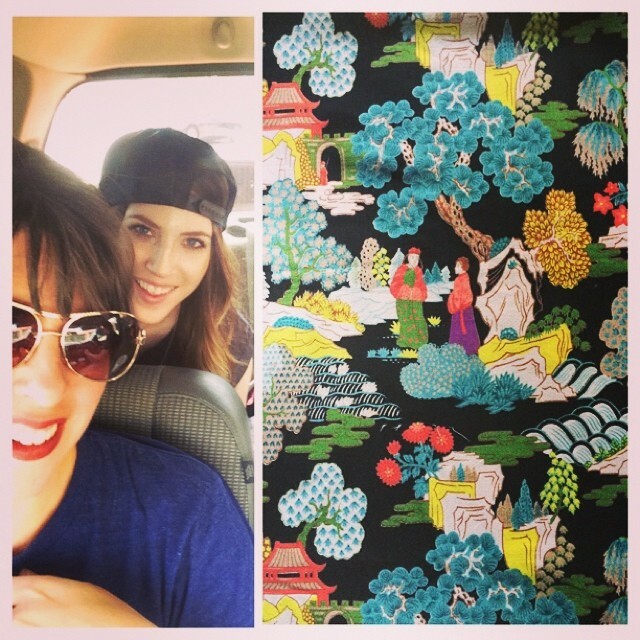 Searching for fabric in this post has reminded me how much I love toile! 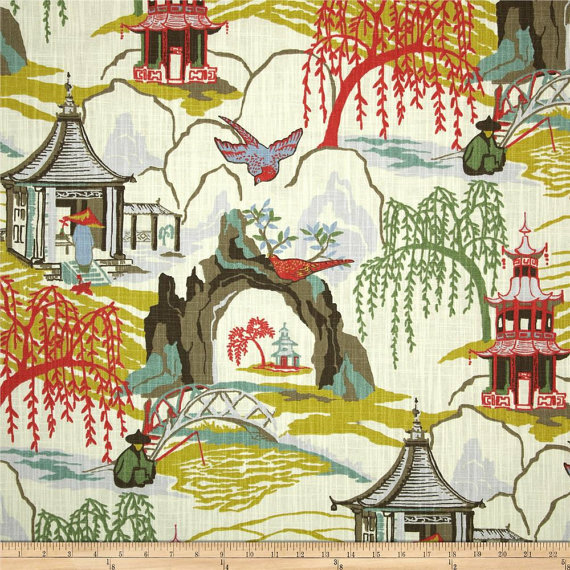 There are SO many pretty chinoiserie choices, but I tried to stick with colors similar to my inspiration fabric in this post. Maybe I'll do another post with other colors soon! You are such a creative person and I love all the beautiful creations you make. 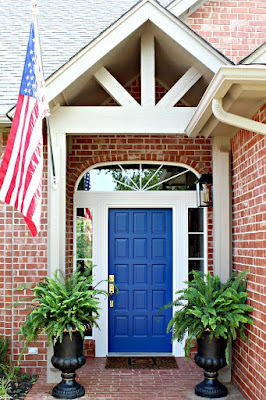 I love love love your post! The Neo Toile in charcoal black makes me swoon! 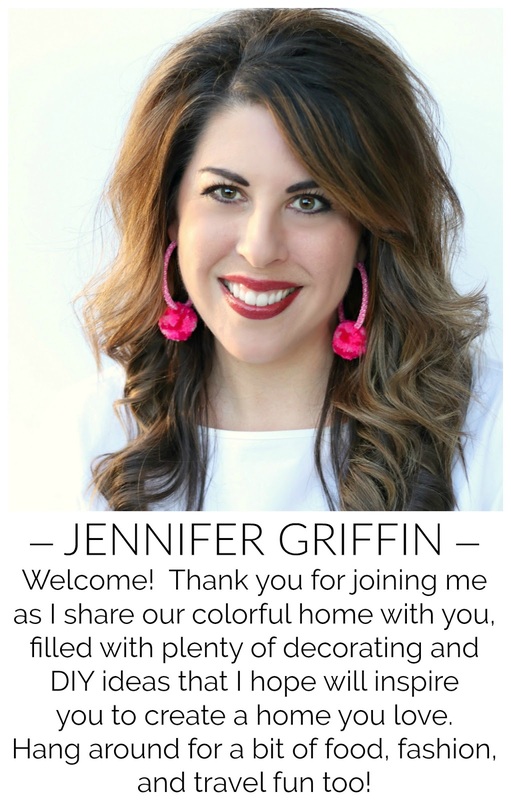 Thank you for sharing yourself with us! I just noticed your dress, was that your inspiration for the walls in your powder room? Btw, you totally rocked it! That is crazy about your thrift store find!!!!! Wow! 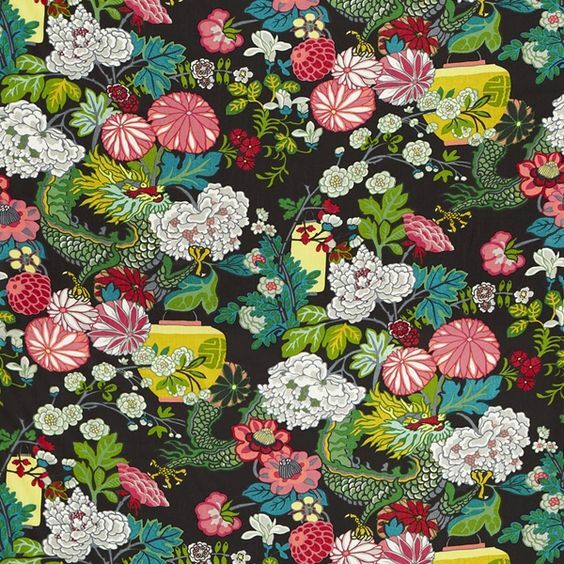 I couldn't love that fabric more and these other options are so pretty as well! 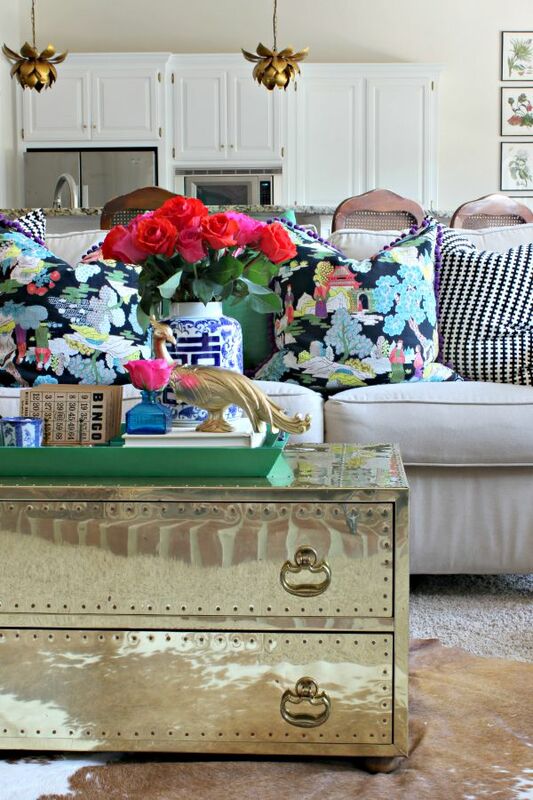 Can you tell me about the black and white pillows?